The first death from measles in 2019 has been reported in France, health officials have said. Public health agency Santé publique revealed news of the measles-related death, in its weekly bulletin, but provided no details of the age or location of the victim, "in order to protect the anonymity of the deceased patient". Three people died of measles in France, a highly contagious disease that can cause serious or even fatal complications such as encephalitis or pneumonia, in 2018. 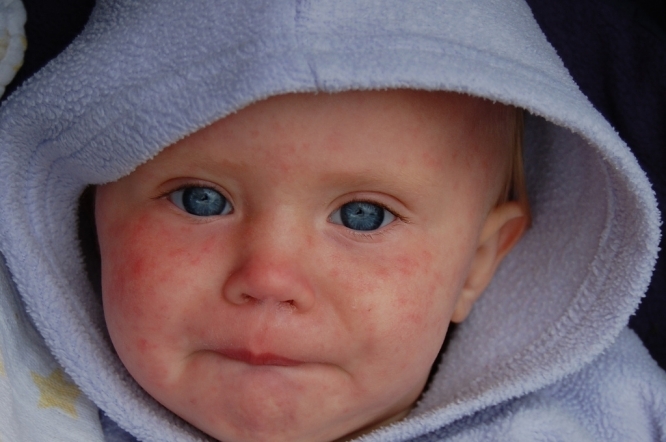 Since 2008, health officials have recorded 20 deaths related to measles. A total 350 cases of measles have been reported in France so far 2019, down from the same period last year, when there were 966 known cases. But 100 patients have had to be hospitalised, with five needing treatment in intensive care, Santé publique said. In 90% of cases, patients had not been vaccinated. According to Santé publique, the virus has been identified in 51 departments. With 49 cases reported between January 1 and March 10, 2019, Savoie is the most affected. Doctors in Val popular ski resort Thorens have even proposed vaccinating holidaymakers in hotels. Measles vaccinations are mandatory in France for all children born after January 1, 2018.